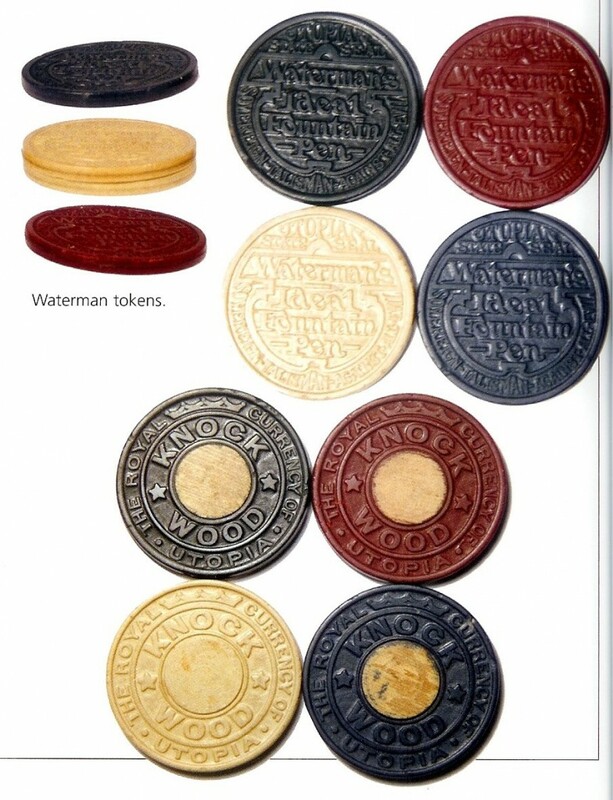 Some interesting vintage Waterman ephemera: Waterman tokens! 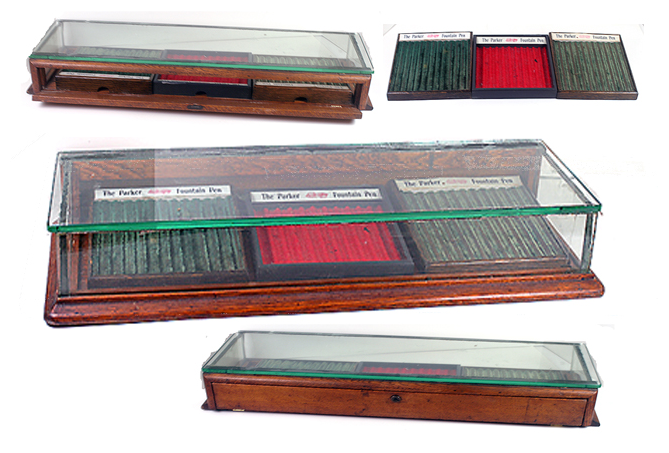 These chips have been found in red, white, and blue. 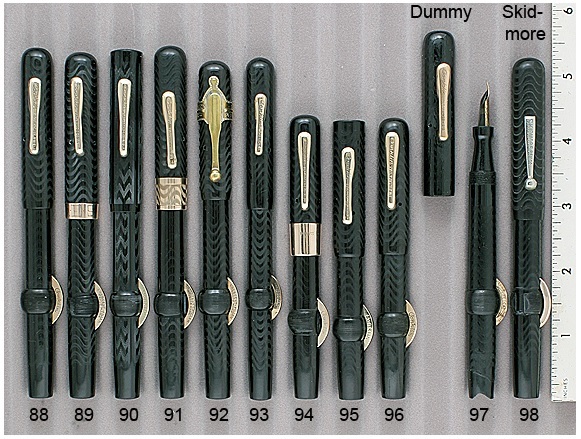 It also appears there may be a black. 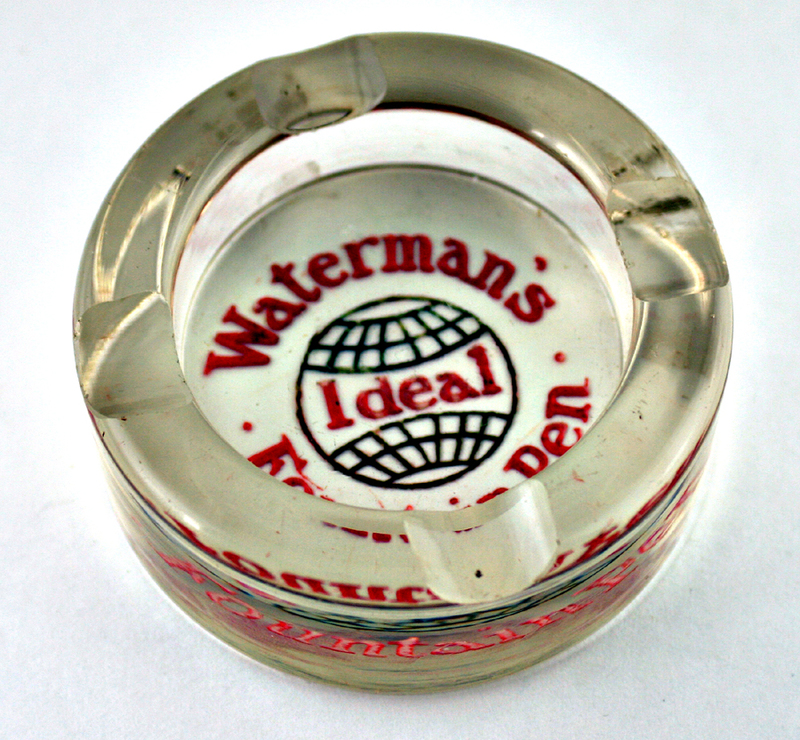 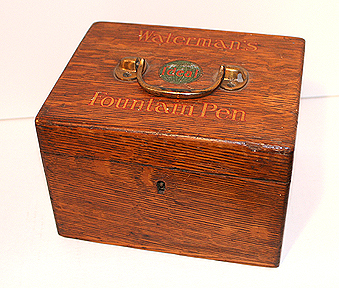 From 1910, they were handed out as good luck tokens, for example, with the purchase of the Secretary model Ideal fountain pen (see advertisement below), but they have also been used as poker chips.